The End of Time Part II will be a classic for the major events of the episode, even if not for the quality of the story. This post contains major spoilers. Russell T. Davies tend to go over the top with season finales, and it was clear he would do this from Part I which ended with his version of the Master race. Last year had planets moving in space without regard for the scientific impossibilities. This year he only had one planet move but it was not just any planet but Gallifrey appearing next to earth. The episode managed to remain entertaining despite frequently not making very much sense. 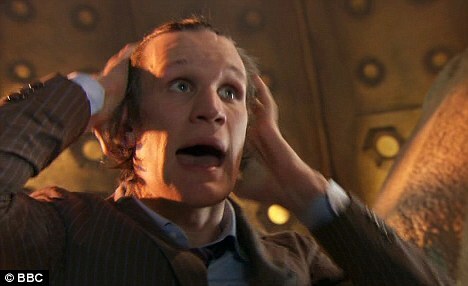 The escape with The Doctor tied in a chair was a perfect chase scene for the episode. The return of the Time Lords made little sense, and it was disappointing that they reversed The Master’s act to turn everyone on earth into a copy of himself in a moment. It again made little sense that the Lord President didn’t kill The Doctor while wearing Glove of Rassilon as The Doctor was spinning back and forth between him and The Master. 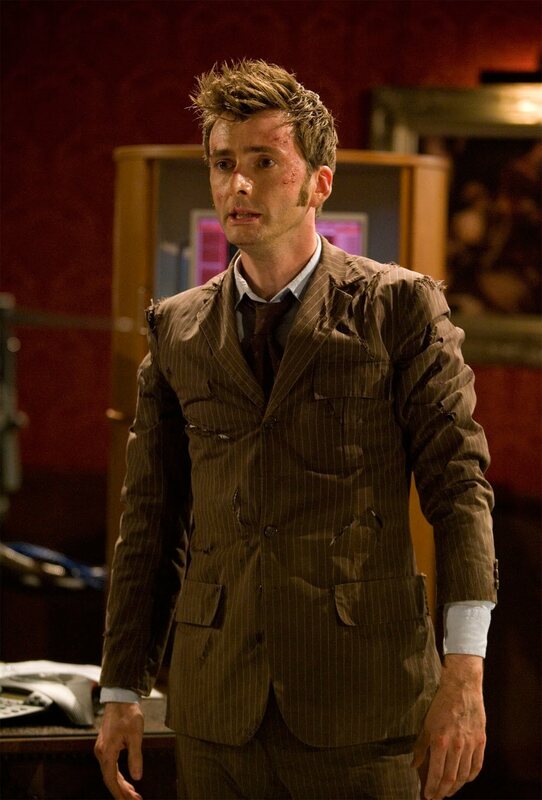 The episode did explain the tragedy often felt by The Doctor as it revealed why he had to try to destroy or seal in time both the Time Lords and the Daleks. The Time Lords had become as evil as the Daleks. The show included several scenes reminiscent of Star Wars, following the Imperial Senate scene in Part I. The second episode felt like it was beginning on Death Star, including a killing in which Darth Vader could have filled the role of the Lord President. Later Wilfred Mott was involved in a space battle which also appeared to be out of Star Wars, and there is a brief scene with Captain Jack in a Cantina. The scene in which The Doctor was exposed to the radiation was also reminiscent of Spock’s death in The Wrath of Kahn. In addition to all these homages to other shows in the Peter Tennant/Russel T. Davies finale, a sit-com airing the same day included a quick homage to Doctor Who. The fate of obsolete robots at Veridian Dynamics was seen on Better Off Ted, including a Dalek in the background. 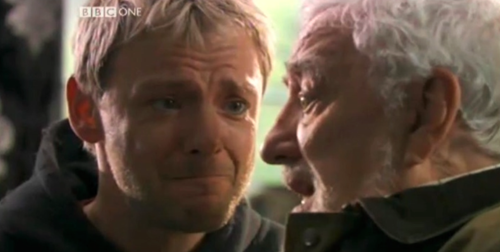 The show teased viewers with The Doctor’s death before he actually did take the lethal dose of radiation to save Wilfred Mott. This then dragged out to the longest death and regeneration scene ever. The Doctor had time to visit many of his former companions and help them live happily every after. Donna had the largest role in the episode but it was mostly pointless. After all the warning that having her memory return would fry her brain we found that there was a safety device which not only prevented any harm to Donna but saved her from a hungry version of The Master. Steven Moffat is looking to restore the BBC icon to its classic roots that some are describing as an effort to integrate fans of the original “Doctor Who” series. However, others say it’s more about what Moffat likes. I wonder if one unexplained item, the woman giving Willfred Mott advice, was intentionally left open for Moffat to return to. It appears that it might be The Doctor’s mother but her role is not clear. While it is sad to see David Tennant go, I am looking forward to this spring to see what Steven Moffat and Matt Smith do with Doctor Who. Posted in Science Fiction, Television. Tags: Blink, David Tennant, Doctor Who, Matt Smith, Russell T Davies, Science Fiction, Star Wars. RSS feed for comments on this post.. TrackBack URL. Wishing Moffat great successes and looking forward to seeing the 5th Season. If Moffat wants to harken back to the original series with a handful of things I see nothing wrong with it. I just hope one thing, well ok two. One that they start steering away from so many Earth adventures. I realize 13 episodes per season limits things, but, a hand full of them could keep the plot, but simply change to a non Earth adventure. Look at ‘State of Decay’ for one. Secondly. Isn’t as important, but have a companion from the past. Martha and Donna were from the present, and worked for the closing seasons Capt. Jack and Adam were from the further, and worked. Just think it would cool to see one picked up from the past or an other alien.